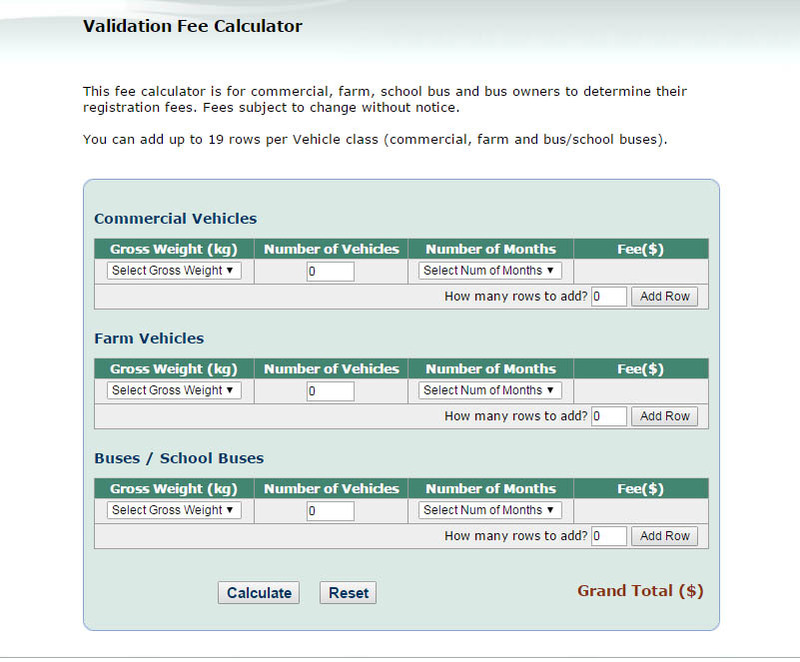 This fee calculator is for commercial, farm, school bus and bus owners to determine their registration fees. Fees subject to change without notice. 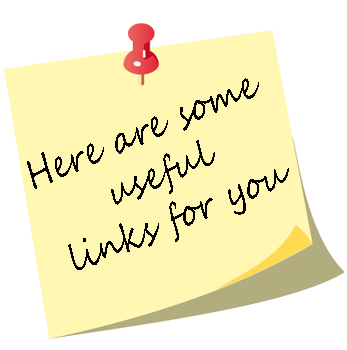 This section provides an overview of the basic rules. Drivers play an important part in making sure that trucks and buses using Ontario highways are in good operating condition. The most effec­tive method for drivers to determine that their vehicle is in safe operating condition is to do a daily vehicle inspection (also known as a circle check or a pre-trip inspection) before starting the day’s trip. Not only is it good safety practice, the daily inspection is a requirement of the Highway Traffic Act. Drivers must, by law, inspect their vehicles and be capable of determining if they are in a safe operating condition. A driver is required to complete a vehicle inspection every 24-hour period and monitor the vehicle’s condition throughout the trip. A driver is not permitted to drive a truck unless they or another person, within the previous 24 hours, have conducted a Schedule 1 inspection of the vehicle and completed an inspection report. The inspection is conducted in accordance with an inspection schedule. 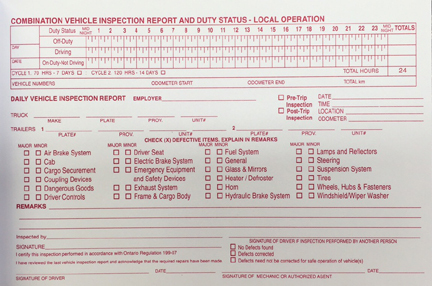 The schedule provides a list of vehicle systems and compo­nents that a driver is required to inspect, and provides a list of defects to guide and assist the driver. The inspection schedule divides defects into two categories: major and minor. When a minor defect is identified, the driver must record the defect on the inspection report and report the defect to the operator. Drivers are not permitted to drive a vehicle with a major defect. Drivers must carry both the current inspection report and the inspection schedule. 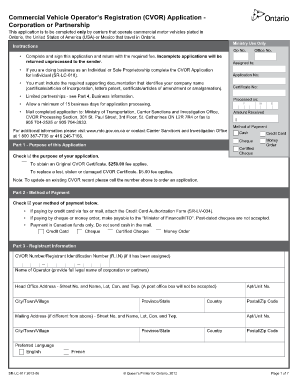 Electronic reports and schedules are permitted. The circle check or daily inspection in this book shows the absolute minimum inspection that must be performed as part of the driver-testing procedure. For the full inspection schedules outlining all major and minor defects, which all commercial vehicle drivers are required to complete daily, refer to the Ontario Regulation 199/07 “Commercial Motor Vehicle Inspections” in the Highway Traffic Act at www.e-laws.gov.on.ca. For additional information on how to perform a daily inspection in accordance with Regulation 199/07, go to www.ontario.ca and type the following information into the search box: “Trucks and Buses, Commercial Vehicle Operators’ Safety Manual”. On the Trucks and Buses page, type “Module 8” in the search box. Upon identifying a safety defect, found either during the daily inspection, or during the trip itself, you must report the condition of the defect to the operator as soon as possible. Major defects must be repaired before you operate the vehicle again. 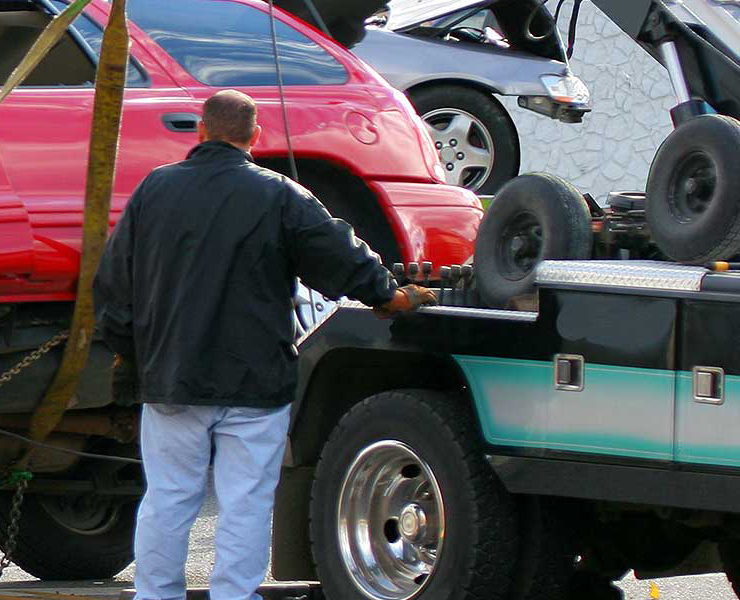 In cases where serious infractions are discovered, the vehicle is taken out of service. For less serious infractions, such as broken clearance lights, drivers should report the condition to the operator so that repairs can be made in a timely manner. The most common reason for taking a commercial vehicle out of service is for out-of-adjustment air brakes. Other reasons include insecure loads, defective lights or tires, and broken springs. Therefore, it is very important that drivers also complete a proper air brake pre-trip inspection as described in The Official MTO Air Brake Handbook before starting the day’s trip. In addition to being unsafe, out-of-adjustment air brakes may result in a vehicle being detained and the operator’s CVOR certificate may be cancelled or suspended. Note: You cannot adjust your own air brakes unless you have either completed an approved air brake adjustment course or you are a certified mechanic. 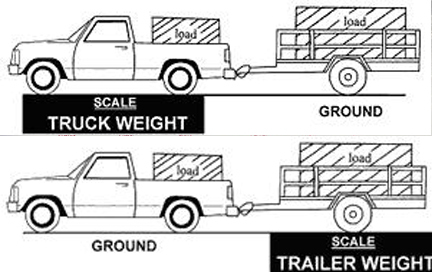 Q16: How do I determine registered gross weights for trucks towing trailers? The registered gross weight (RGW) determines the fee paid for commercial licence plates (black and white). The truck’s RGW is based on and must be at least equal to the actual weight of the truck, or the truck, trailer(s) and load(s). The RGW is indicated in kilograms (kg) on the right portion (plate portion) of a truck’s ownership, to the right of “REG. GROSS WT.” One kilogram equals 2.204 pounds and one pound equals 0.4536 (kg). A trailer permit does not have a RGW. Generally the weight of a towed trailer and its load are added to the RGW of the truck. Load includes the driver, passengers, fuel, equipment, tools, cargo, equipment, etc. carried in the truck and trailer. “Truck” includes pickups and business-type vans with commercial licence plates. Farm plated trucks are subject to the same RGW rules. 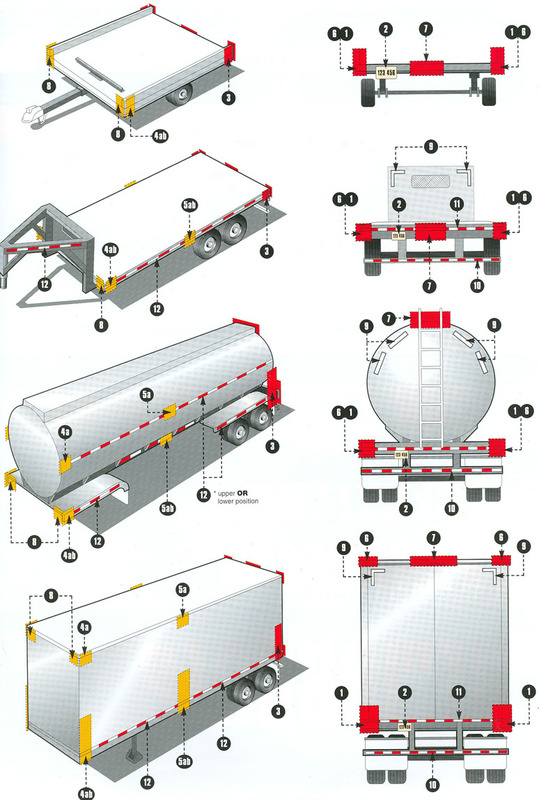 Light trailers that transmit to the highway a total weight of 2,800 kilograms (6,173 lb.) or less are not included in determining registered gross weight. Safety Standards - Getting your there safe! Ontario takes road safety very seriously and uses a variety of methods to make sure all road users can get themselves and their goods to their intended destination safely. 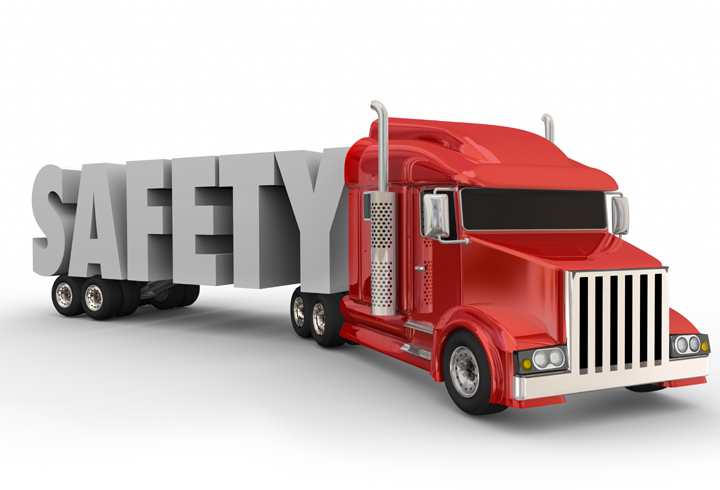 Learn more about the safety requirements for commercial motor vehicles operating in Ontario. Every lamp, reflex reflector, and conspicuity treatment must be permanently attached in the location specified on the image and must comply with all applicable requirements prescribed for it by FMVSS/CMVSS 108. The face of any device on the front/rear and sides should be, respectively perpendicular and parallel to the vehicles centerline unless it is photometrically certified at installation angle. No part of the vehicle shall prevent any device from meeting its prescribed requirements unless an auxiliary device meeting all prescribed requirements is installed.